I meant to write about coffee last week when it was on my mind. There was a day, Monday – I think, where I had some time to kill before meeting PY after work. So I went into Cafe Nero and ordered myself a regular Latte. Nice, warm coffee. Then I wandered around some shops and then went into Costa Coffee and ordered another Latte. This time the taste was totally different. Unfortunately, I don’t have the words to hand to describe quite how different the two drinks were. There was a startling difference between two cups of coffee. The Costa drinks was much less bitter and had a much fuller flavour. I was blown away as I have never noticed such differences between two coffees before. I blame the thick stuff we drink at work for dulling my taste buds. Anyway, the leaflet in Costa says, ‘Others think their beans are fine after a 7-minute blast. Our beans need a full 18 minutes at precisely 230 degrees to bring out every bit of flavour – and we always make sure they get it’. It appears to be true. My regular coffee shop has just changed. Modern Life Is Rubbish, at least that’s what Blur thought back in 1993. Modern Life Is Rubbish, at least that’s what Blur thought back in 1993. I can tell you some Modern Life things still aren’t what they should be. The Modern Life Expo at London’s Business Design Centre was supposed to be and event ‘Combining entertainment and an exhibition we aim to provide suppliers for everything you need in your life from gay wedding planning, health, fashion, home, travel right through to the law & finance’ [site] but it was such a mixture of things (mainly property overseas and wedding invitations) that it didn’t have any focus. Sadly, there weren’t that many people there when we first arrived and we were directed, immediately, to the coffee place rather than the event. I’m a crisp packet who’s about to fine you £50. It’s got to take the shine off your manhood, being publically admonished by a snack food wrapper. Little Red Boat certainly has a way with words, she makes me laugh almost every day. Nokia’s new messaging phone comes complete with QWERTY keyboard but doesn’t have the treo-style annoying aerial. Nokia Announces Eseries for Business (Phone Scoop): E6 -: A slim (0.55 inches) messaging phone to compete with the Motorola Q. Features a landscape 24-bit QVGA display, QWERTY keyboard, and a miniSD slot. Supports quad-band GSM/EDGE and WCDMA 2100. With no annoying sticky-up aerial to jab you when it’s in your pocket. Sometimes the simplest ideas are by far the best. Bob Brotchie, from the East Anglian Ambulance Service, had a great idea to enable the emergecy services to contact somebody close to you if you are involved in an accident. The ICE (In Case of Emergency) entry in your mobile ‘phone’s contacts list is brillaint. Read on for more or check out this story at BBC News. East Anglian Ambulance Service have launched a national “In Case of Emergency ( ICE )” campaign with the support of Falklands war hero Simon Weston and in association with Vodafone’s annual life savers award. The idea is that you store the word “ICE” in your mobile phone address book, and against it enter the number of the person you would want to be contacted “In Case of Emergency”. It was a united city saying ‘we will not back down in the face of your bombs. You will not break us’. Yesterday I observed the two minutes of silence to remember those killed in last week’s bombings. After work I walked to Trafalgar Square to take part in the vigil. I arrived just after it had started but heard a lot of the speakers. There were moving speeches, prayers and poems from across the political and religious spectrum. There were leaders from the major churches and religions showing a united front. There were London celebrities with sincere words calling for a united city. Sebastian Coe spoke of the Olympic bid and how we’ll build a fitting tribute to the people who lost their lives last Thursday. There were union leaders and politicians who uttered words of support. But the biggest applause went to members of the transport companies whose buses and trains were attacked and for the emergency services who attended the sites to rescue victims. For once were were not a celebrity-obsessed nation but were there to support the people who keep London moving and safe. The vigil seemed to go on forever. Perhaps it was too long but when everybody’s words were sincere how could you stop it? It was a united city saying ‘we will not back down in the face of your bombs. You will not break us’. Sadly, for the media, it was just another news story. 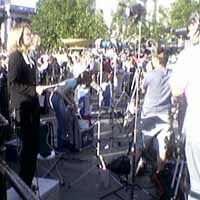 There were camera crews from across the globe at one end of the square and various reporters were applying their make-up or dabbing the sweat from their brows as technicians plugged in things and waved cues. Behind all the the tributes coming from the front of the square were a selection of “Londoners are gathered …” and “back to you in the studio”. Reports were being filed in a number of languages via a fleet of satellite trucks being powered by noisy generators in the corner of Trafalgar Square. Maybe it’s because I was right beside the media as I couldn’t get further into the square but the chatter (and the smiles and laughing of some of the production staff) seemed inappropriate somehow. I hope they got their story. Of course the day has now changed totally. Of course the day has now changed totally. For those friends of mine who have contacted me, thanks for your thoughts. We are both fine right now but it’s unlikely you’ll be able to get me on the mobile as the services are deluged with people trying to contact people. BBC News has the latest. Olympic Countdown: The Prime Minister has arrived in Singapore to join the London team ahead of the crucial vote to elect the Host City for the 2012 Olympic Games and Paralympic Games [Source] and England Football captain David Beckham has arrived in Singapore to join the London team hoping to secure the 2012 Olympic Games and Paralympic Games [Source]. The BBC has a summary of the final push to the big announcement. 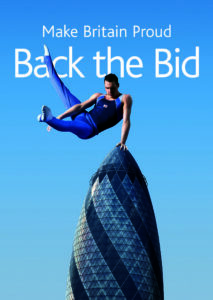 Newspaper editors coming together in support of the bid for London 2012. 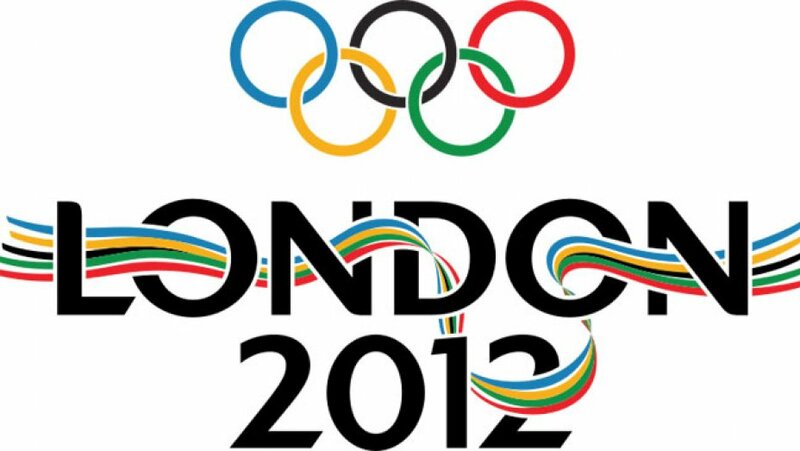 So, while counting down to Silverstone, there’s another countdown that I am watching now – the London Olympic bid. I’ve mentioned before that it would be brilliant for London to win the Olympics. I’d think I might volunteer if we win and I’ll say that now so that it doesn’t look like I am jumping on any bandwagon! Watch the videos and hold your breath! In the meantime it’s time for some bid news as I watch the countdown: The editors of ten national newspapers have united to sign a good luck message to London 2012 [source]. Has that ever happened before?